Founded Slater Diederich Tree Care In 2012. ISA Certified Arborist. CTSP. 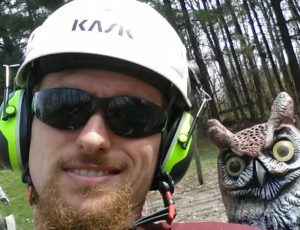 Joining Slater Diederich Tree Care in 2016, Abe has excelled at every opportunity. 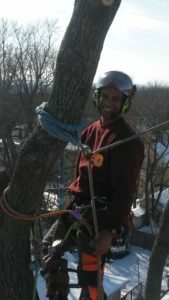 Functioning as the lead climbing arborist, he is well versed in all aspects of tree climbing and technical rigging. When not drooling over fancy tree gear, he enjoys spending time with his wife and son. 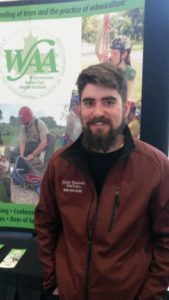 Growing up with his rowdy brothers, working hard harvesting forest products with his father, and other tree care industry experience has fostered Ians connection with arboriculture. As crew leader, he is able to share his proficiency of trees with his coworkers and our clients. In his free time he enjoys carpentry and spending time with his wife. The wisest employee of them all! Often confused as the owner, Orve has been with the company almost since day one. He has an extensive mechanical and practical knowledge background. He is our main ground man with much rigging experience. In his free time he enjoys auto machanics and mowing lawns.